Everyone’s favorite championship football game, the NFL Super Bowl, is just on the horizon! Watch this year’s epic clash for gridiron glory on DIRECTV for Business. No matter what style of business you have, customers will always spend a bit more time on your sales floor to catch every moment of this game. Don’t be the one business on the block that isn’t in the Super Bowl spirit. Hotels, Motels, Bars, Restaurants, Retail Stores, Convenience Stores, and many other commercial properties are ready to go for Super Bowl 2019. 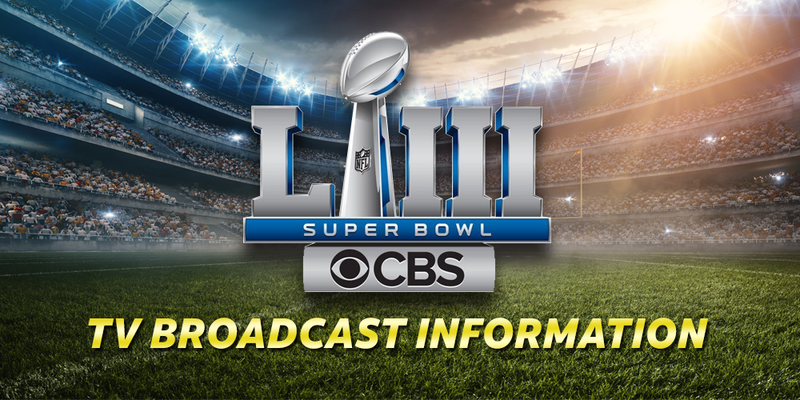 Read on for the official Super Bowl LIII TV Schedule, and contact Sonu Satellite to activate DIRECTV for Business. Super Bowl LIII will commence on Sunday, February 3rd 2019. 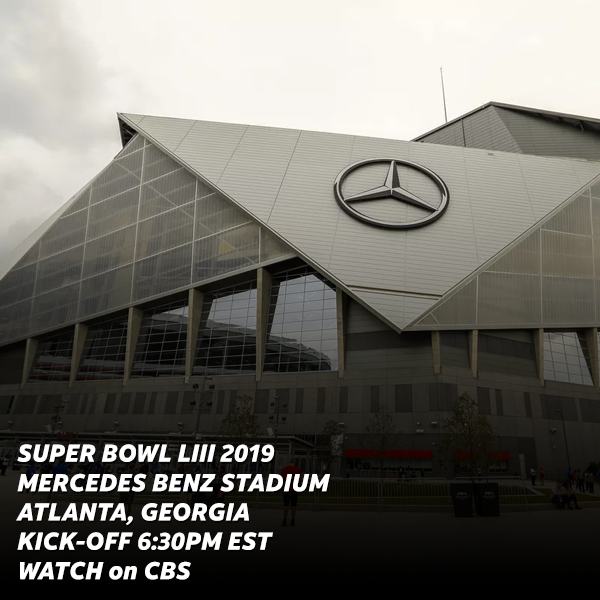 This year’s game will take place at Mercedes Benz Stadium in Atlanta, GA. Kick-Off is officially set for 6:30PM EST, and it will be aired on CBS. NFL fans will also be able to live stream Super Bowl 2019 at CBSSports.com. The Super Bowl 2019 Half-Time Show will feature performances from both Maroon 5 and Travis Scott. Tune-in and don’t miss a single second of NFL football drama with your patrons and staff! Activate the power of NFL Football for your business! Call 877-999-7668 or click the button below to request a Free Quote on DIRECTV for Business with NFL Sunday Ticket. Ask about our current promotions, and how your property may qualify to receive NFL Sunday Ticket with a new activation at no additional cost.